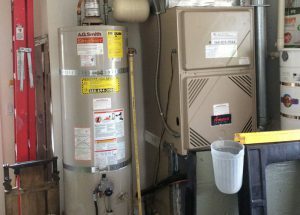 If you need water heater service, we can help you. Get a hold of us today for more details. Finding a reliable water heater contractor can seem like an impossible task but your search stops here. Rays Plumbing Service is committed to providing service at a price you can afford. We have all experienced a plumbing issue when we wanted technical help, plumbing emergency situations do not ever seem to appear at a trouble-free time. It could be a water leak, little or no hot water, a sewage leak or maybe a similar issue with your plumbing. This is when we at Rays Plumbing Services can come in and provide you with peace of mind. Our warm and friendly qualified professionals will evaluate your problem and provide you with choices on the best method to remedy your issue. Looking for that plumber who is able to finish the job and also give you the finest service in the area? You’ve come to the absolute right place! Rays Plumbing Service is your quality, local plumbing company devoted to providing comfort and peace of mind to all of our customers.